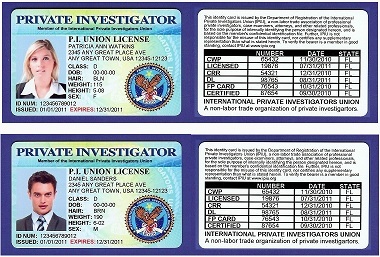 This member's only option is to order either a duplicate (second PI Union License to carry) - or a replacement PI UNION LICENSE (Photo-Credentials ID card) that has either been lost, stolen, or requires a change of address or new photo. 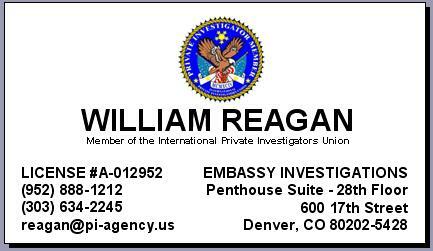 You should have already emailed contact.team@ipiu.org to report your ID lost or stolen, or with the new address or data change. If not, please email them and then return to this page. PRIOR to ordering this option, you are required to officially contact IPIU to verify your PI Union License is approved for replacement. If your PI Union License was lost or stolen, then you need to report it to your local law enforcement facility to prevent identity theft. A copy of the police report should be saved for your records in case another person uses your lost or stolen ID fraudulently. Instead of ordering a replacement PI UNION LICENSE, you may also consider EXTENDING YOUR UNION DUES for an additional 12 months, which would provide you with a FREE REPLACEMENT PHOTO ID CARD. To choose this cost-saving option, simply return to the Home Page and choose the Membership Options tab to extend your current union dues period for a FREE ID card. Then choose either Professional Management or Economy Preferred. Or, to order ONLY the replacement ID or duplicate PI Union License, simply ADD this item to your Shopping Cart and continue. Or, call 406-534-0251. This product was added to our catalog on Wednesday 17 December, 2003.